I wish i could go more into depth on how i made these things but the views are low and it takes me a while to type on a laggy laptop. (The letters i type have to be pressed atleast 0.5 seconds apart). out from the lid. 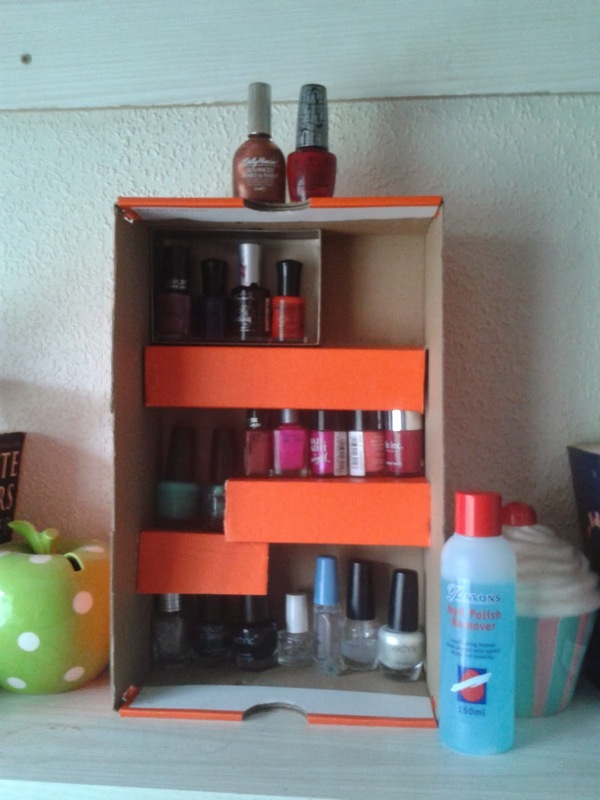 using double sided tape i stuck them to the back of the shoe box with 2″s of depth to keep the nail polish’s steady and 3.5″ of length so i can make ledges that are independent.